Autumn Awakening captures the most striking colors of the harvest. 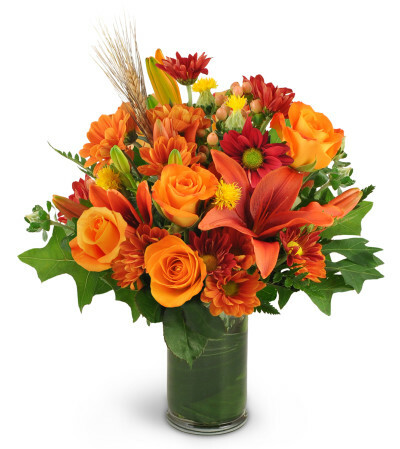 This beautiful autumn-themed bouquet includes Asiatic lilies, orange and red roses, mums and oak leaves. It's perfect for fall birthdays, get-well wishes and corporate events. In shades of autumn, this arrangement includes Asiatic lilies, roses, safflower, chrysanthemums, and hypericum berries, along with wheat, oak leaves, and aspidistra. Wonderful service. They went above and beyond in my opinion. Making every effort to complete my delivery, which had a few hiccups from my end, not theirs. Very prompt, efficient, friendly service from all staff members. 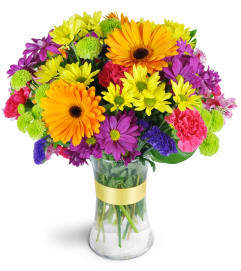 Recipient was thrilled with the arrangement and very pleasantly surprised. I would highly recommend using Powassan Flowers to all my family and friends. Keep up the great work! I live in the UK and my mom lives in Canada, It is amazing to know I can always rely on powassan flowers to get my mother's flowers on time, thank you guys!! 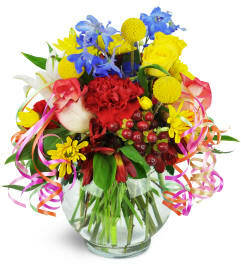 Flowers were beautiful, super easy to order and delivery was prompt. Thank you!!! 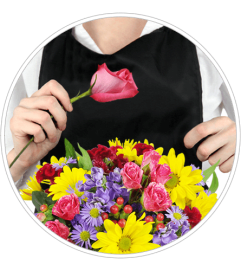 Powassan Flowers is a Lovingly Florist in Powassan. Buying local matters. Discover how Lovingly supports local florists. Copyrighted images herein are used with permission by Powassan Flowers.